Collectable Wrap Necklace, designed and hand created by American jewelry artist Georgia Hecht, this is the necklace she is famous for! 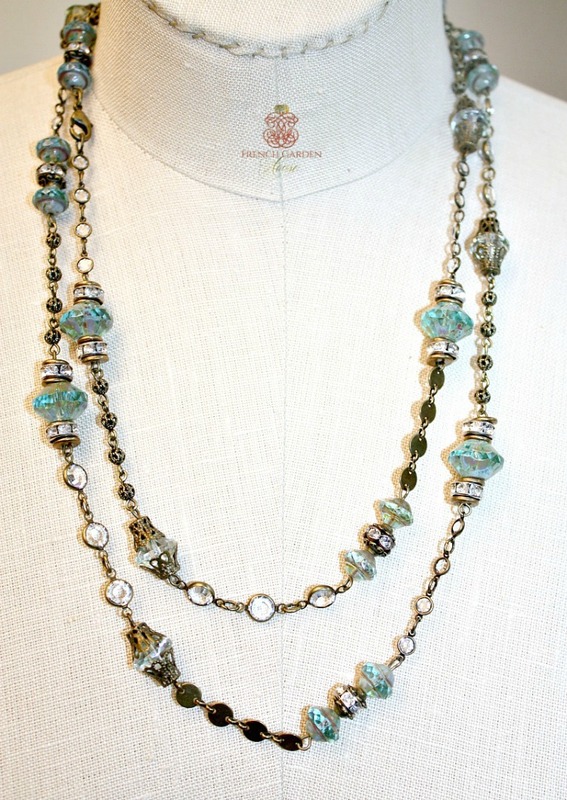 Luxurious crystal beads in the most amazing aqua blue green color combine with rhinestones, antiqued beads and crystal link chain for this one of a kind statement necklace. Wear it long, tie it in a knot at the bottom, combine with your antique lockets, or wrap it twice around for a layered look. No matter how you style it, anytime you wear this phenomenal necklace you will look fresh, new and stylish.